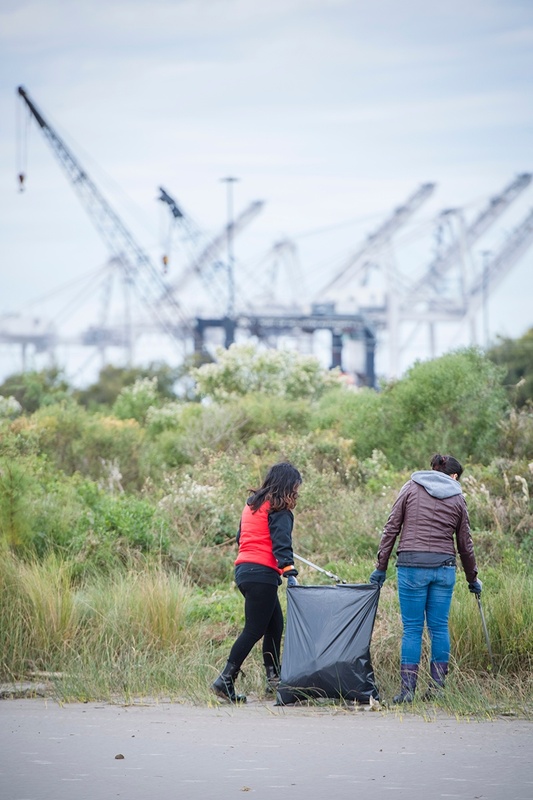 Port Houston strives to be an active steward in the community. 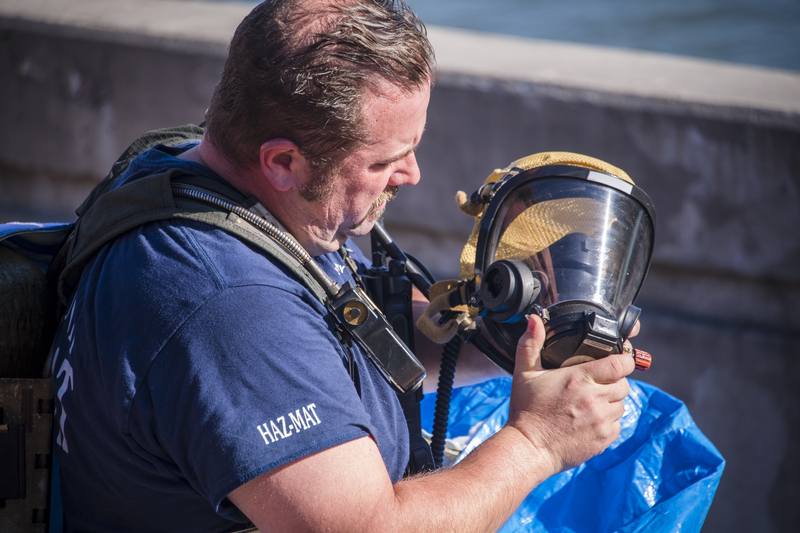 More than 200 participants from 13 Houston-area public safety agencies and 20 industry partners participated in a federally sponsored emergency management exercise Dec. 4 and 5. More than 150 local small business representatives attended the port’s Small Business Capital Improvement Projects and Subcontracting Opportunities Forum Feb. 6. Port Houston’s small business development program was created to provide opportunities for local small businesses to participate in contracting and procurement at the port. 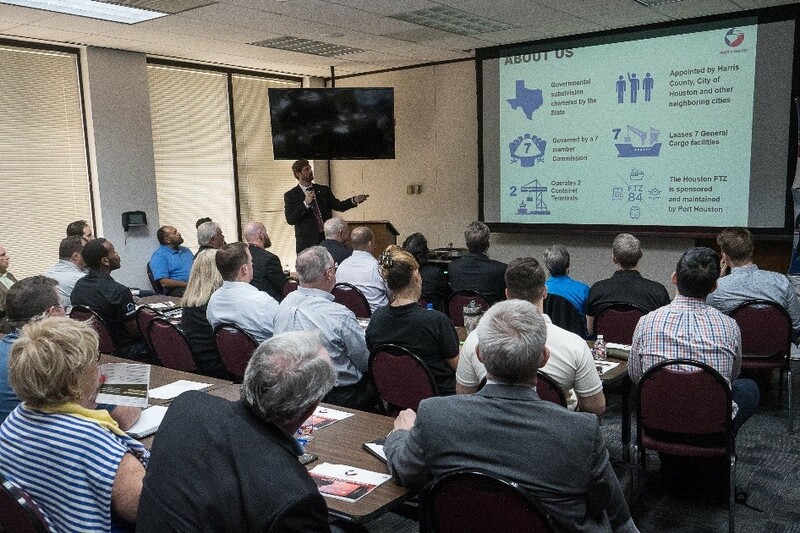 Port Houston is committed to furthering maritime education in the Houston region. 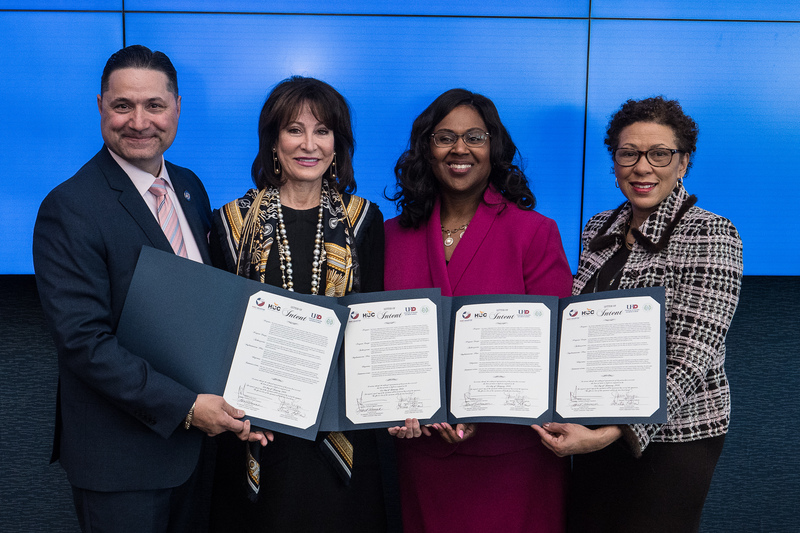 Port Houston participated during a Maritime Letter of Intent signing ceremony with the University of Houston-Downtown, Houston Community College and Houston ISD for the launch of a maritime degree progression program. The partnership will create pathways to degrees and careers for many students and aspiring professionals. 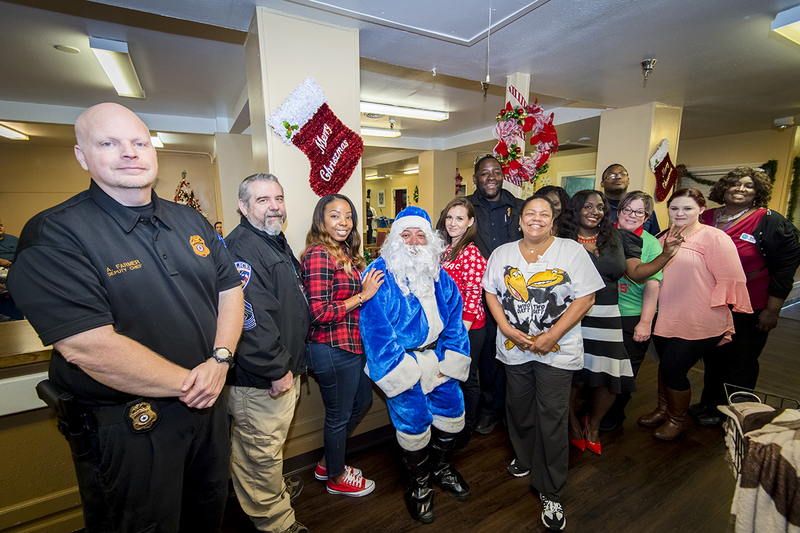 The Port Houston Police and Security departments volunteered at a housing facility, Jacinto City Healthcare Center in Houston, to bring Christmas cheer to its residents Dec. 18. They provided plush pillows and blankets to the Houstonians while entertaining them with holiday music, food and games. 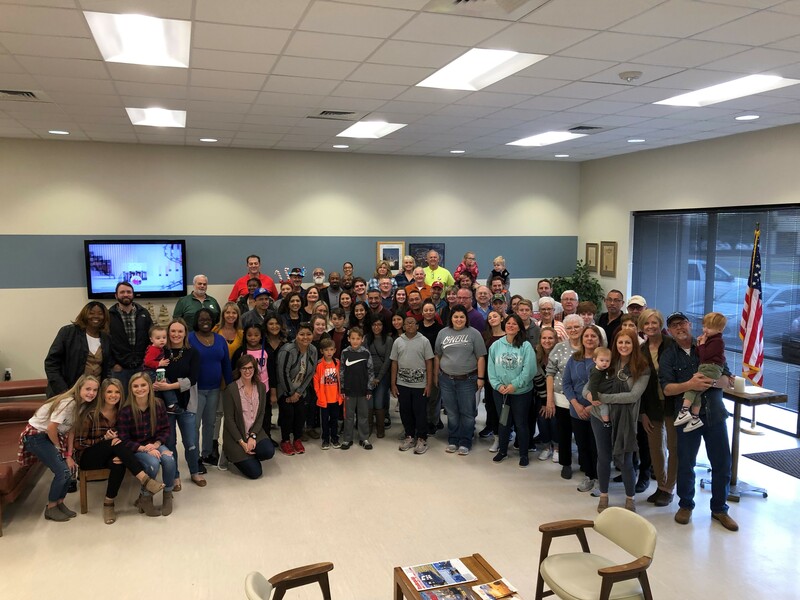 Port Houston continued its tradition of giving back to the community this holiday season though the Angel Tree program and preparing care packages for seafarers. 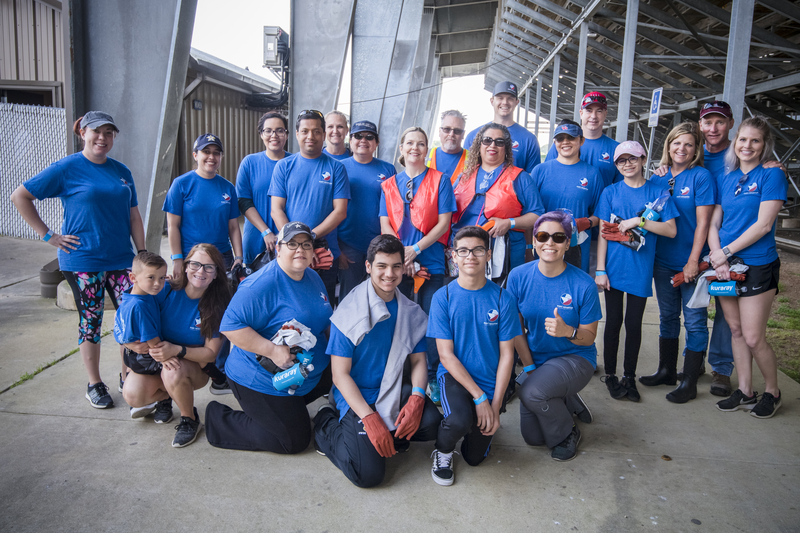 Port Houston employees teamed up with Galveston Bay Foundation to host one of our largest environmental cleanup events of the year. Despite having to reschedule the original event due to Tropical Storm Florence, more than 100 volunteers showed up at Morgan’s Point to lend a helping hand, collecting 2,174 pounds of trash and recyclables from the beach and surrounding areas. 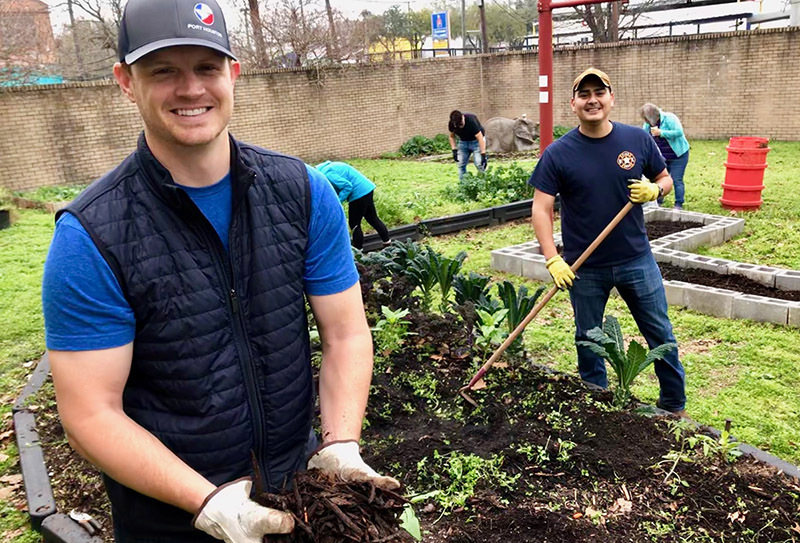 More than 80 volunteers, comprised of Port Houston team members, their friends and family, helped share in the spirit of Thanksgiving by preparing and delivering meals to local families in need Nov. 22. 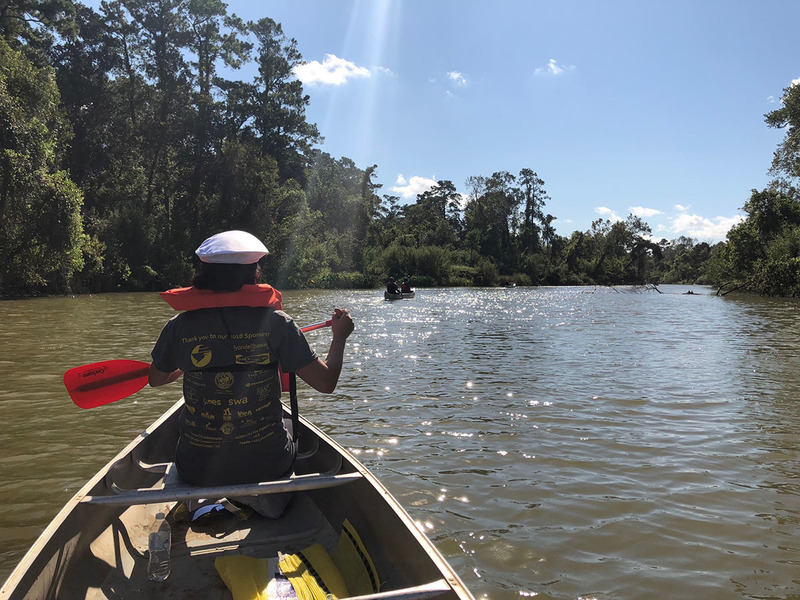 Port Houston employees joined dozens of fellow canoe and kayak enthusiasts for the annual Greens Bayou Regatta, a 7.5 mile paddle race held Oct. 6. The event focuses on combining recreation, stewardship and education on one of Houston’s most beautiful and secluded waterways, Greens Bayou.